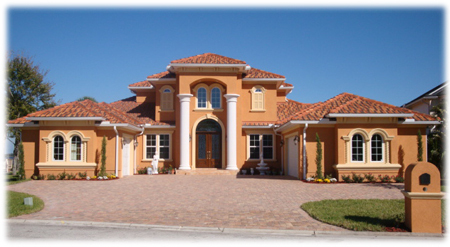 Joseph Builders is a custom home building company based in Jacksonville, FL. We specialize in custom home building and commercial building projects. Thank you for your interest in Joseph Builders. I am Raymond Joseph, founder and owner of Joseph Builders, and I appreciate the opportunity to share this website with you. I am a second-generation builder located in Jacksonville, FL who takes pride in my past and current accomplishments. I am a State Certified General Contractor with a degree in Building Construction from The University of Florida. It is worth noting that a Certified General Contractor is the highest designation that a builder, of any type, can achieve. From the first stage of construction through completion, Joseph Builders has quality as our number one objective! We strive to eliminate any problems, understand all of your needs, and respond at a level beyond that offered by other builders. When you build with Joseph Builders, you are dealing directly with the builder himself, not an employee of the builder. I am personally at the jobsite every day putting my license, experience, and reputation into your home to ensure the quality and service you both expect and deserve. After browsing the website, I am convinced you will be very confident of Joseph Builders’ ability to deliver you a beautiful home. Get started on making your housing dream a reality! Call us today at 904-220-2732 to schedule a personal interview to discover the joy, value, and excitement of living in a professionally designed, engineered, and quality built Joseph Builders' home. Doesn’t Your Family Deserve the Very Best?